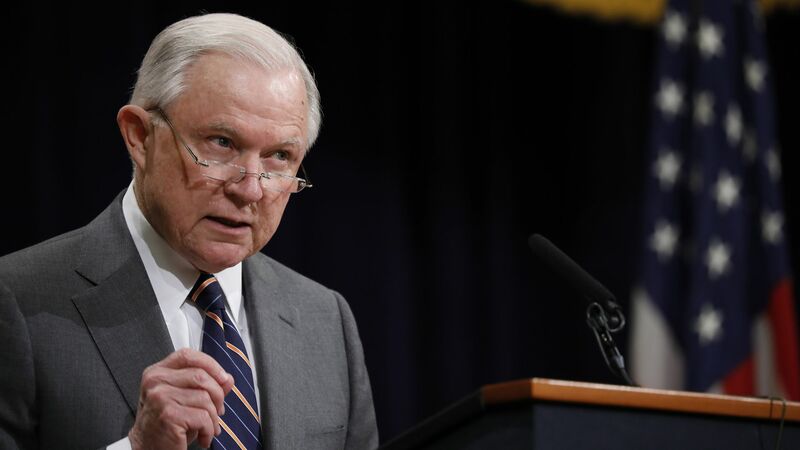 On Wednesday, Attorney General Jeff Sessions imposed new limits on immigration judges' authority to dismiss deportation cases — the latest effort by the Trump administration to obtain more control over the removal of unauthorized immigrants from the country, reports Reuters. The details: Under the new rule, judges can terminate deportation proceedings if the government fails to meet its burden of proof, requests a dismissal, or "to allow an immigrant time for a final hearing on a pending petition for naturalization when the matter involves 'exceptionally appealing or humanitarian factors,'" per Reuters. Because the U.S. immigration courts are administrative courts within the Justice Department and lack judicial independence, the attorney general has the ability to rewrite opinions issued by the Board of Immigration Appeals. Reuters notes that Sessions has been been "unusually active in this practice compared to his predecessors." The other side: Kate Voigt, associate director of government relations at the American Immigration Lawyers’ Association, told Reuters, "[t]he decision is the next step in a concerted effort by the A.G. to undermine judicial independence and to minimize the role of judges in immigration court."